Have decided to grow some hardy palms(with edible bits) down here. 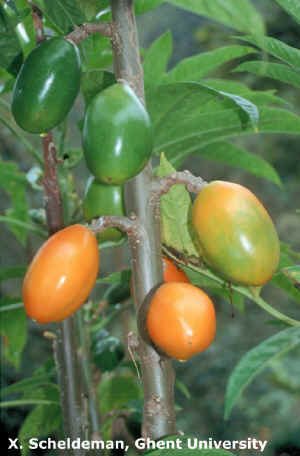 Does anyone know a source of Parajubaea cocoides (Quito Palm) seeds or seedlings, and Brahea edulis, seeds or seedlings. Have you tried Butia Capitata? Very hardy, ornamental, will take freezing conditions and fruit prolifically. Also known as Jelly palm or wine palm. The seed of Butia Capitata can take up to a year to germinate also. I'd scarify it first to bring it on quicker. Agreed, they are slow. They would be in the category of the longest to produce fruit from seed section. I have several Jelly Palm/Butia here in Albany, and they do famously here. They tolerate the frost of minus four degrees, and we have had temperatures around the 40 degree mark that has not phased them either. They fruit for me within four years of planting, and the trees were only about ten inches or 250mm high when I put them in. My tallest and oldest tree is probably about 10 feet tall now. There are pictures of my fruit on the My Edibles page (see to the right of this paragraph where to click). When the fruit are ripe they fall off. Do not pull them off to eat, as they will be too tart. Easiest fruit tree to net too. Simply put a chaff bag over the spray of fruit and tie the neck. When the fruit start to ripen, simply give the bag a gentle shake every day, and any that fall off and into the neck of the bag are ready to eat. Seed like a mini coconut, so do take a long time to germinate naturally. Will be speeded up with the use of scarification. I rub them on a concrete floor to make a thin patch on the shell. Sorry to hijack your thread Jantina, but I just had a look at Lornas my edibles page and identified a perannial zuccini plant that I had no idea what it was called. (chilacayote) I got it off an old italian guy I spotted working in his garden when I was driving around the other day. He just ripped out a length of runner and said to just bury it and I ll have zuccini s forever. Its amazing what these old italians brought with them when they migated to Australia. There s a lot more to discover when I go back over for another visit soon. He s very impressed with my little collection as well. awesome hijack - awesome post. I'd never heard of chilacayote or perpetual zuchini. Well, there you go. I've never heard of it before either. My 3 metre long cutting is doing alright atm. Little leaves are popping up all along the buried runner. That's generous Lorna, I have obtained some seed but don't know which one yet. Yes, a great hijack! That Chilacayote deserves a thread of its own. Meanwhile, back to palms with edible fruit - I bought some delicious Medjool dates at the supermarket and after eating them, planted the seeds. They took a long while to germinate, but germinate they did (only a small percentage, though). Now I have 5 healthy little palm trees. Hey Violet Cactus, while nursing in the outback( Yuendemu,Papunya) I planted some Medjool date seeds and they also came up,but I left them there. I know they fruit in Alice Springs, hope they fruit for you, think it might be a tad cold here. Washingtonia filifera has fruit that tastes similar to dates but I don't think it would be quite like sinking your teeth into a juicy fresh Medjool. I'd be happy to share Violet Cactus but I don't have them yet, the suppliers are awaiting supplies if that makes sense! If quarantine let my parajubaea cocoides through I'll bring you one of those too, cold tolerant, fast growing, bearing miniature coconuts in about 4 years. 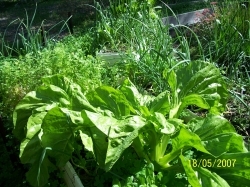 Hi Everyone, I am checking here with interest as I am hooked on medjool dates and would love to grow some of my own... There is a lot of talk here of growing from seed... hmmm I'm a bit impatient and don't wanna wait 50 years for fruit. Does anyone know if you can buy a palm that is already well underway? 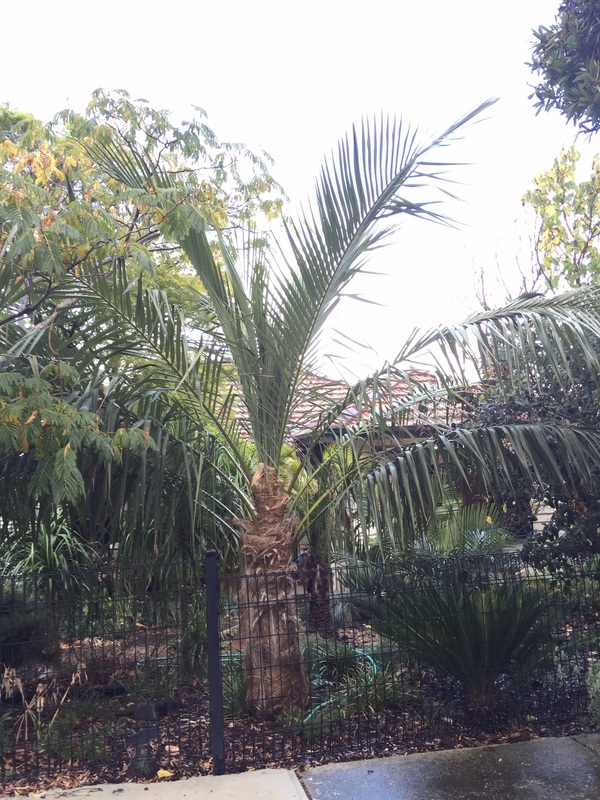 I'm a palmnut here in Melbourne, growing Parajubaea cocoides and torallyi ( and B edulis, too!). Always of interest, J australia, how are your's going? producing any fruit? Parajubaea cocoides? Hi John, I'd forgotten I posted this - I was checking on the cold-hardy banana topics, as I grow 5 ornamental rare species here. 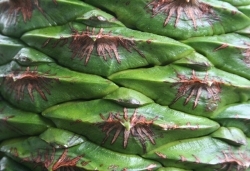 Short answer on Parajubs: awesome tough palms. P cocoides is the slowest of the 4 sp. My 10yo P torallyi trees will be fruiting before my 14 yo P coco. Jubaea are roooooooooooooooolly slow. About 25 years to fruiting age (but live for a thousand years). All have edible seeds (like mini-coconuts). As Parajubs are still very rare in Aust, most seeds are likely to end up as trees for the time being. There is a grower in Melb - contact through me. Agree on Butia - tasty fruit and tough palm. Two Parajubaea cocoides were generously given to me but didn't survive. (I hope she's not reading this) I was very dissappointed when the little green shoot lost all it's colour. Does your contact have access to the abovementioned sp.? I'd love to have another go, I think I know where I went wrong, (too much heat). They're a cooler weather palm, but I'm sure they'd do well here if I was given another opportunity. Will check his stocks of P coco. He has a lot of the other three Parajub sp. I'll be seeing him this weekend and will ask about bare-rooted postage. Sadly John Mc, mine has also died, was going well until a slug got in the pot, chewed in critical spots and the root rotted. Sob. Still have more seed which may germinate eventually. Wonder if Phil's survived? jantinarohde at activ8 dot net dot au any info much appreciated. The seed Jantina kindly sent me already potted up has a healthy green shoot on it, the second one I planted hasn't any sign of germinating.. I used to grow Jubaea chilensis in Victoria and found that if I lightly cracked the coat of the nut, either with a well placed hit from a hammer or in a vice, the germination rates were better. It takes a bit of practice though, the first dozen or so were smashed beyond being salvageable. I also use the technique with macadamias on the concrete path, there is definitely an art to hitting them in just the right spot. Jantina, I was doing all the wrong things to get these babies to grow. I think it was the heat that killed them in the end, they shouldn't have been in the poly house. I've grown plenty of palms from seed in the past so I thought they would be a pushover, not so. BTW, I'm hoping your parcel arrived in one piece? Actually I've been putting off emailing you about the parcel because the news isn't good. We were away and by the time I got to it the Caricas had rotted, the Gac leaves were not looking flash but I think that will survive, a sad story. The male Gac you sent earlier is booming. Phil , good news about yours, I'm hopeful more will sprout. The same slug got one of my Chilean hazelnuts and since only 2 srouted out of 3 packs of seed it means half my stock is gone. Sigh. Not to worry Jantina, the GAC plants are very hardy, I'm sure it will pick up, if not we can rectify it. I'll send you some Carica seeds after mine have fruited, I've lost some seedlings myself. By Carica, do you mean papaya? It's related Nick, smaller seedier fruit. I got your Cocona got away today btw. I have been trying to track down a seller of Quito palms in Victoria or anwhere in Australia for that matter for years, i collected some seeds on a trip to Quito but had no luck getting them to germinate. I tried your link but it doesn't seem to work, is their any way I can get onto this grower you mentioned? Yes I know a grower in Melb who has all four: cocoides, torallyi var torallyi, torallyi var microcarpa and sunkha. This is a busy forum, which is nice, but there's zero privacy. Don't like posting contact details for me on a public forum, let alone him! If you want to contact me, I'm Jo Wilkins on Facebook, palmaculture on flickr. The Vic office of Open Gardens Australia will also forward emails to me. Hi Jo, I got sent the flickr pictures which was great but no way to contact the sender to ask about buying My email is on my 17/3 post above. 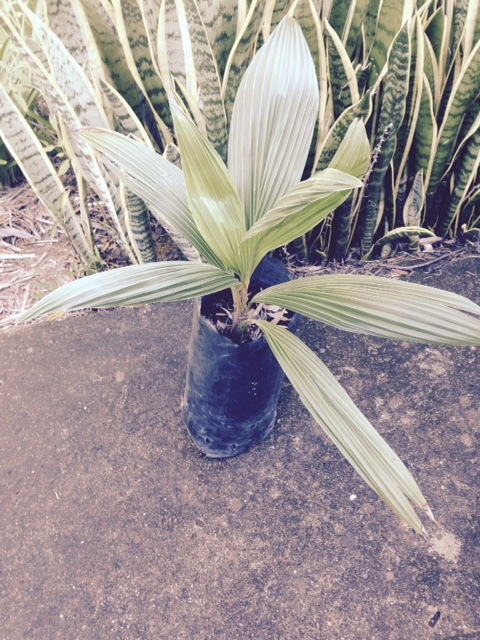 John your Cocona picture looks very much like a rare Areca 'Wahbo' that has large fruits .. one on feebay now . Many tropical palms with edible fruits , just learnt of one from manila .. A Calamus manilense .. 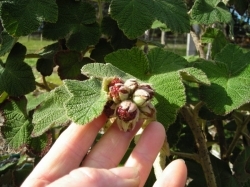 I wish it was Trikus, not my luck, I was looking for a pic of Carica monoica to give Nick some idea of what I was talking about. Nick, it came from John.I planted 2 and passed on the other 5 or 6. I don't have any of those Violet, but I do have jelly palm (Butia capitata)if you or anyone else wants seeds. Took a very long time to germinate. Not fruiting at the moment. I used to just crack it to allow water to enter then plant, shell and all... hope that helps. Butia is commonly planted in botanical gardens so you might be able to experiment without outlaying anymore money on eBay - but I still think it is too early to see any sign of germination all the same. Often they will be throwing a root first then the leaf comes later. Nick, you do need patience. It is so long ago now I can't remember exact details, but it probably took around six months. I do remember giving up, then finding it had germinated in the soil I threw out (or whatever I did with it). Hang in there! Phil, would you have any Jubaea seeds for sale or swap? At the moment I have heaps of fresh Chinese Quince seeds and Strawberry Guava seeds to swap, although I suspect you already have these. Hi Violet nice to see you back on the forum. Check Diggers they had jubaea chilensis on their list. If they don't have anymore I'll put you down for one of mine (and the filiferas etc for that matter).I have some things here for you and have been to Melb several times but there is always so much to squeeze in and any spare time is spent by hubby chasing car parts(grrrr). Probably need to make a dedicated visit to catch up with you all. Are you any closer to moving on to your block? My biggest (12 yo)Jubaea is a child of the grand old Kyneton BG Jub. You can see my Parajubaeas, too. Yes very impressive. I also have seedlings from the Jubaea at Kyneton although not as advanced as yours Jo. Kind forum members recently sent me Parajubaea coccoides and The red flamethrower palm from New Caledonia. Great work in the garden there, do you ever have open days? I watched gardening aus and watched you with your palms . 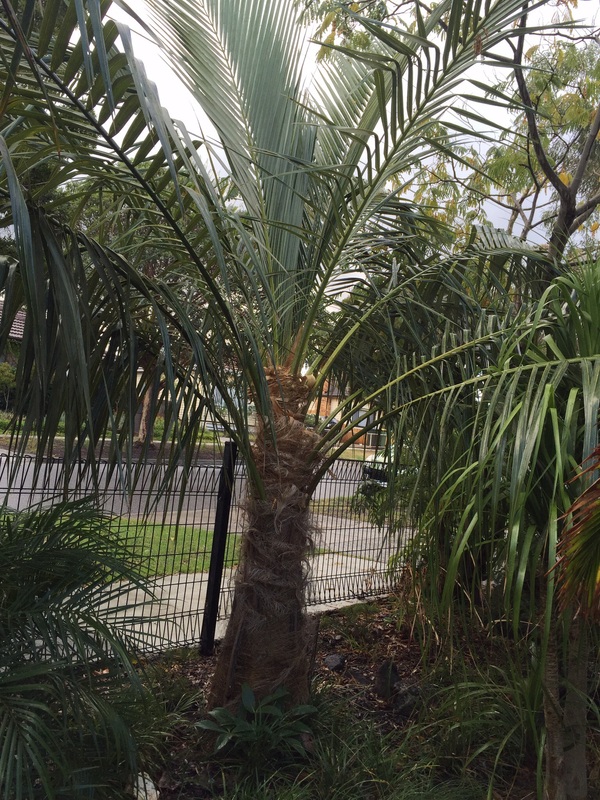 I am not really into palms but only live 20 minutes away from palms for brisbane nursery . I only have a few macarthuri palms and a small palm about a foot high (10 years old). It is nice that you grow something out of the ordinary . cheers . Superior tissue cultured clones of select date cultivars are available from a South Australian company . They have even imported some fruits of unusual types for us to try . I bought a pack and was very pleased . Pity I can not grow them up here . But I will support an Aussie company growing and selling them . trikus, did you buy the fruit from them? Thanks for your comments Phil and Glennis. I think about half the garden was shown, in total. 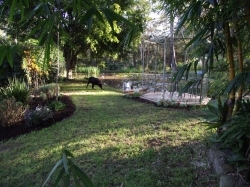 I do have open days through Open Gardens Australia - no more this year though.Visitors welcome, however. You'll love that Chambeyronia ('Flamethrower')- it's even happy in Melbourne, so yours will be ecstatic. You can see mine at about the 3:30 mark on the video, on the RHS. Here's my P cocoides in Melbourne. Was about the size of yours when planted, ten years ago. 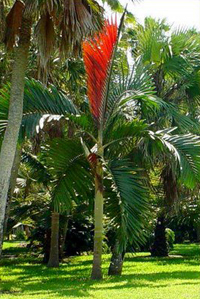 Do you know of anyone in Melbourne growing Cuban Royal Palms? The best place to find them is in a large botanical gardens. Maybe Adelaide or another major city. I know there are some in Victoria/Melbourne, worth checking out as they are easy to spot.